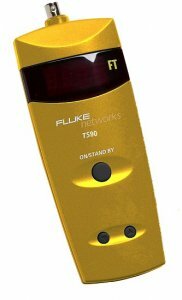 Fluke Networks TS90 works on virtually any two-or-more conductor cables. With the patented SmartTone analog tone generator that generates five different tones, identifying a specific pair is quick and easy, even in proximity to current-bearing cable. SmartTone capability identifies the exact pair by changing the tone at the far end of the cable when the correct pair is shorted. The bright large LED screen and simple menu is easy to read, even low light conditions. When clipping on to a unidentified pair at a job site, with voltage up to 250V AC, the unit will immediately sound an alarm.